Coral Gables was established by George Merrick who set about creating the US's first planned communities. Some of these communities reflect architectural styles from around the world. The funky developments are collectively known as the International Villages. There's the Chinese Village. The French Normandy Village. The French City Village. And several other villages. Coral Gables reminds me of Hancock Park /Larchmont area in Los Angeles. It's a classic Miami neighborhood without the over the top flare. Like Hancock it's a decent drive from the beaches. The Miracle Mile is Coral Gables mislabeled commercial thoroughfare. It's neither a Miracle nor is it a mile in length. I actually prefer the smaller Larchmont Village commercial district south of Beverly Boulevard over the Miracle Mile. 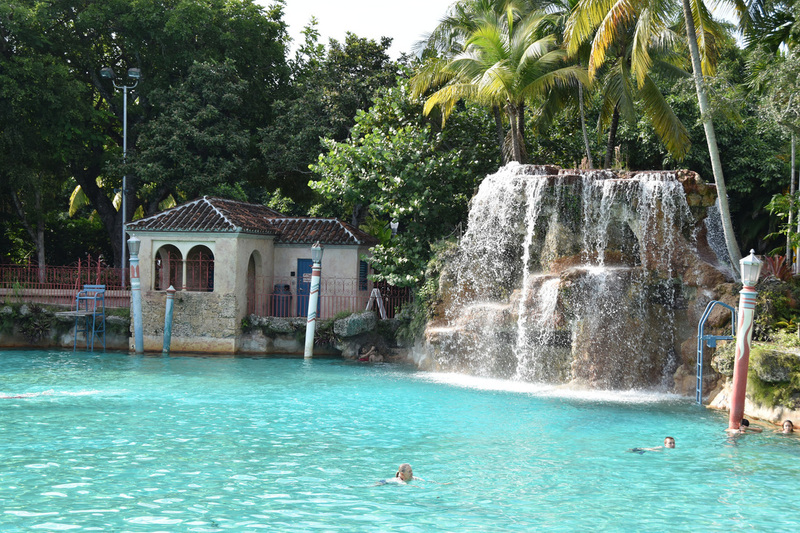 Other attractions include the Biltmore Hotel that's worth at least a drive by to see the entrance hall and grand tower. 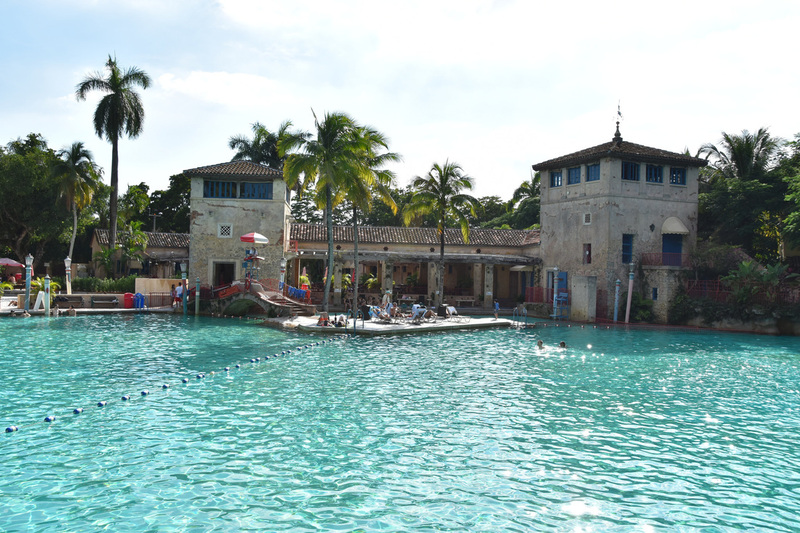 A half mile up the road from the Biltmore Hotel is the Venetian Pool. 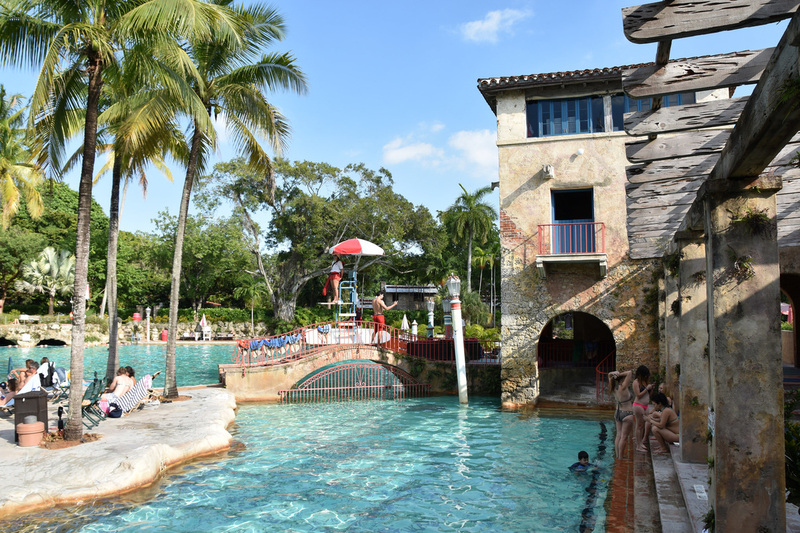 If you opened anything like this today it'd be very kitsch, however, as a glorious symbol of the past the Pool is a must stop attraction. The daily entrance fee is $9.